See if this sounds familiar . . . don’t do as I do, do as I say. You probably heard your parent say that a time or two when you were growing up. When I worked with student teachers or new teachers, I often told them not to do what I did when I was a new teacher. There were so many things that I did the hard way the first few years of my career. I wasn’t necessarily doing them wrong, but there are easier, quicker ways of doing things in our profession that seasoned teachers don’t always remember to tell the inexperienced ones. 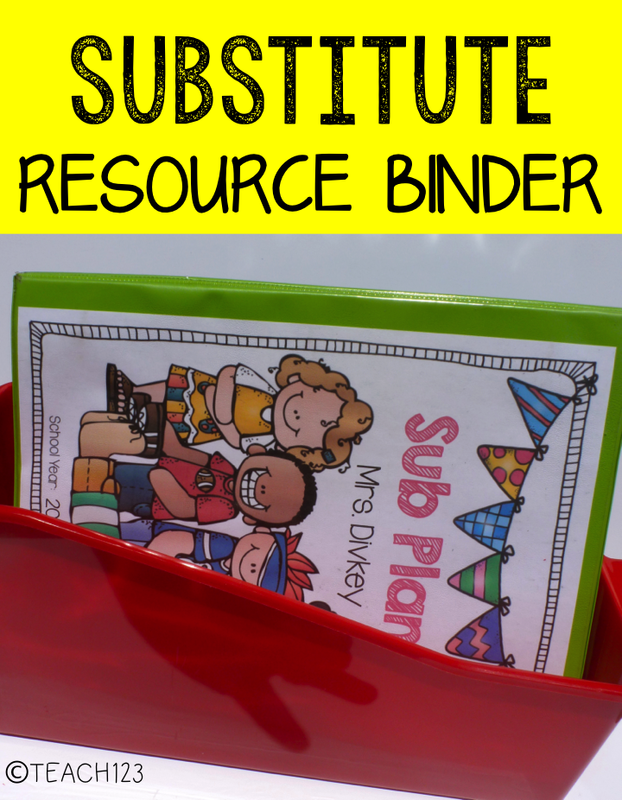 I organize a Sub Resource Binder. This is the “how to” for the sub. It explains all of the procedures for how I run my class. It saves so much time and the subs love it! Have you ever been pulled from class at the last minute for meeting? Maybe the meeting is only for an hour or so, but when it catches you by surprise, it is hard to think of all the details you need to put in plans for the sub who will be covering your class. When this happens you pull out your handy dandy sub resource binder and give him/her the materials that are needed to teach the lessons. Quick, easy and painless for you and easy for the sub! 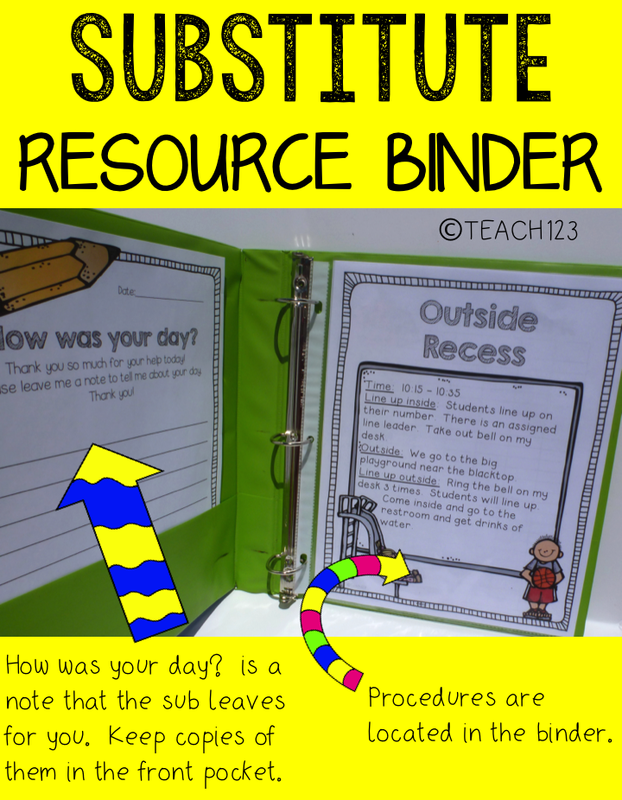 Click HERE to read more about this sub plan binder. I have more sub plans, too! Click! I love the page border on these! Can you tell me where you got it? Looks great, thank you for sharing! Do you leave the sub time filler type of work to do or do you leave them your actual plans for the day? I was a little confused with that part. I got the page borders @ TPT – Bubbly Borders. 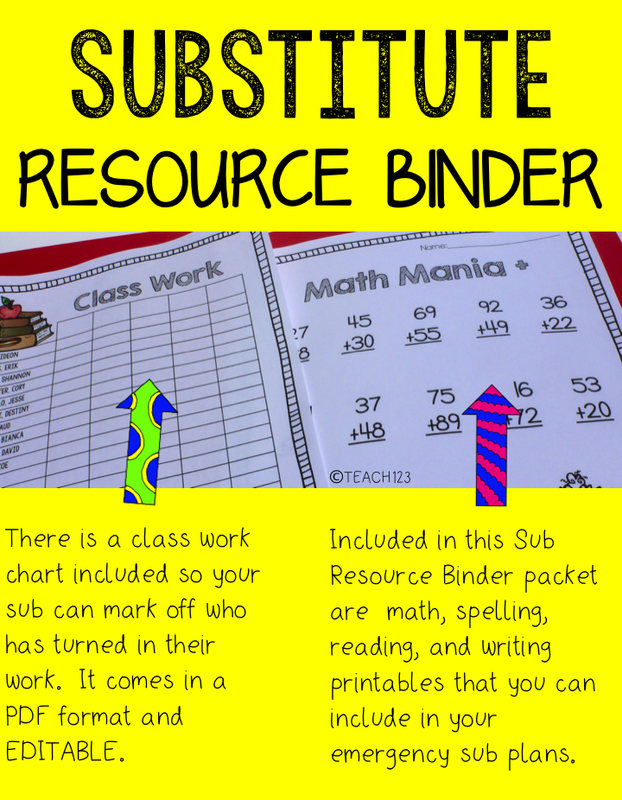 I make the Sub Resource Binder to use with all of my sub plans. I keep a generic set of emergency plans in case I am unable to come in and make plans. When I am able to make sub plans, I do use the lessons that I had planned for the day and leave the Sub Resource Binder with the plans so my sub knows all of my procedures. I wish every teacher realized how helpful a detailed sub binder like this is to a substitute teacher. In the example sheet, the details about recess — where and how the children line up, where the playground is located, using the bell, etc. — are things the regular teacher often takes for granted. Not knowing the little details leaves the sub struggling to maintain order.